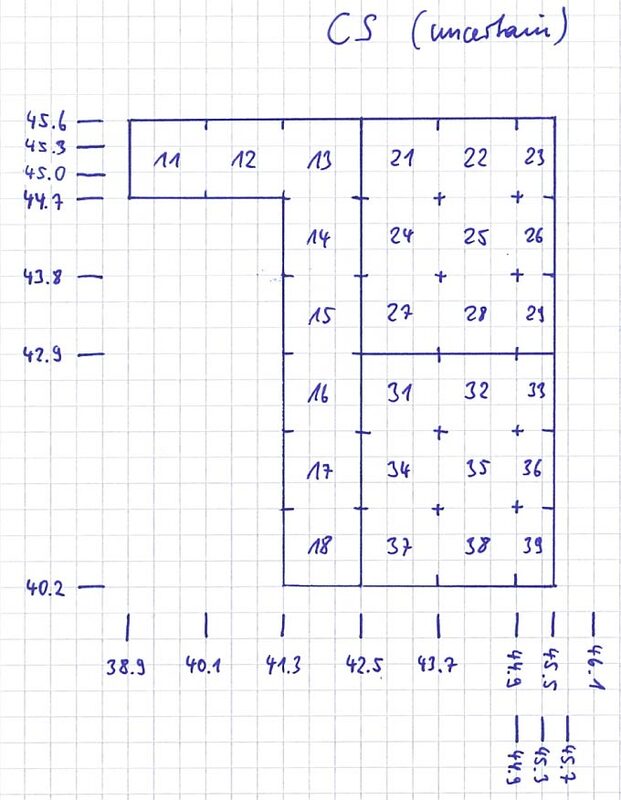 Differently scaled sub squares within a large square are used only to adjust for Mercator projection distortion and not to make cut off squares fit. 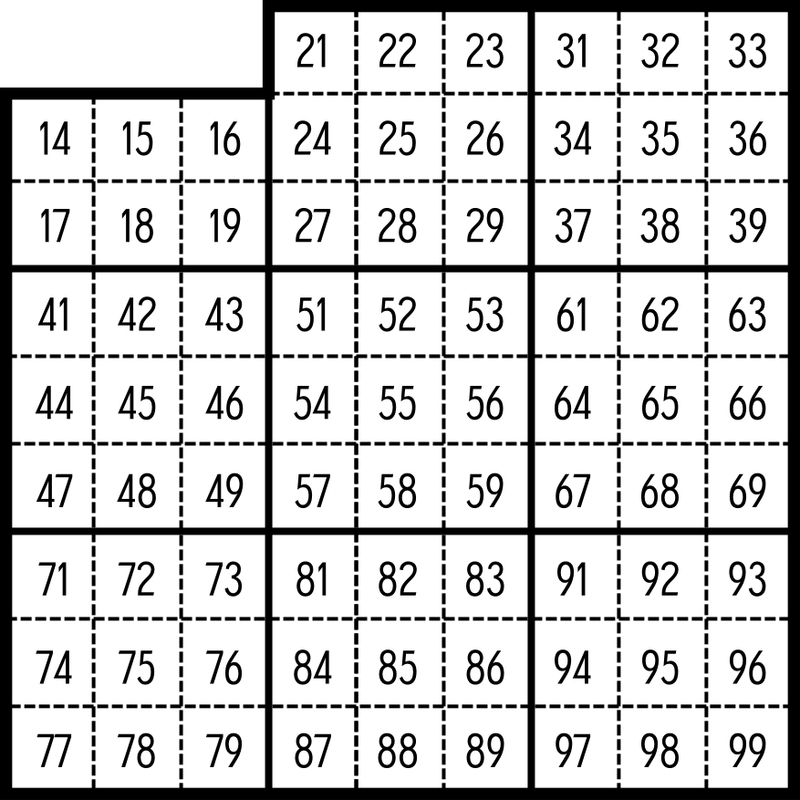 When squares overlap, one or the other is cut off to make them fit, even if this results in differently sized sub squares. There are no overlapping/ambiguous squares. When the first square in a series is cut from top to bottom, it is cut on the left. 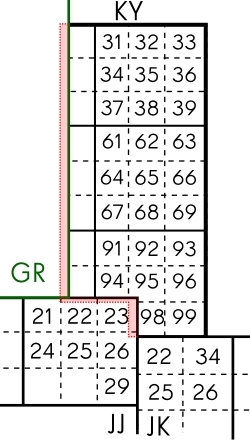 When a middle square in a series is cut from top to bottom it is cut on the right. When the last square in a series is cut from top to bottom it is cut on the right. A series is not only a set of squares with the same first letter (for example YB-YD) but may be a row (for example GS-JJ) or a group (for example CT-CU-CV). The external coordinates of BK are known from Rohwer. I have no Kriegsmarine grid chart depicting the internal structure. 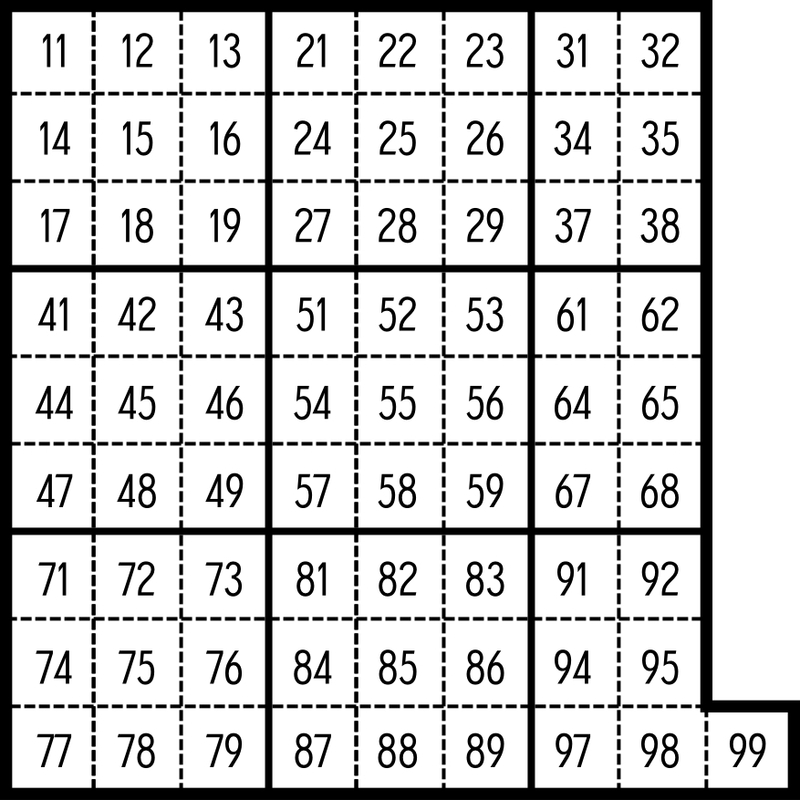 Based on similar irregular squares in the A and B series, it is likely that the structure of BK1 and BK2 consists of rows of two sub squares laid out vertically and that BK7 consists of two rows of sub squares laid out horizontally to fill in the remaining space. 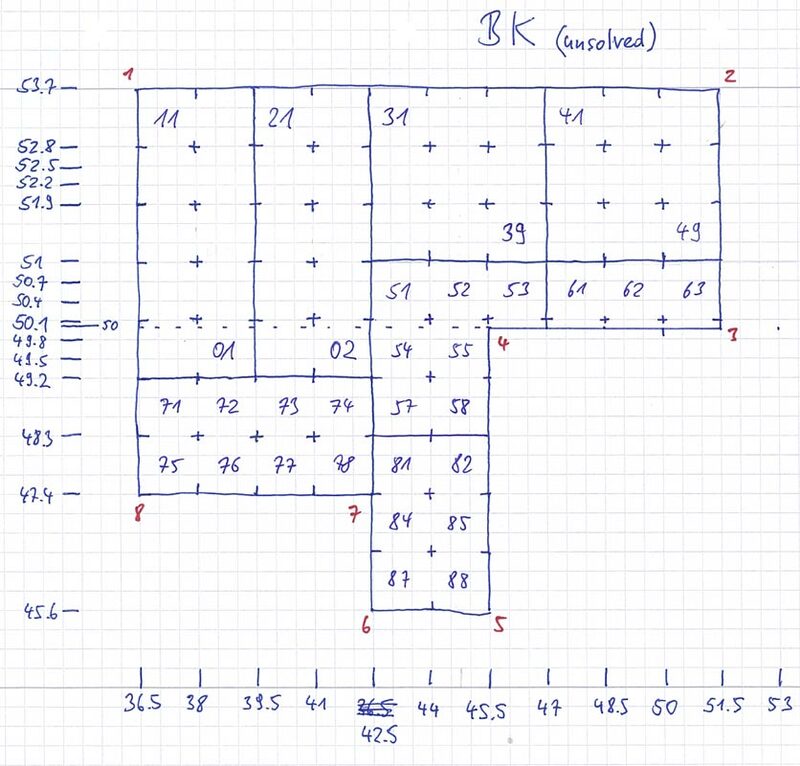 The sub squares on the right hand side of BK are regular but BK5, 6, 8 and 9 are cut off by the overlapping square CU leaving BK55 and down and BK5611 and across. The external coordinates of CQ are known from Rohwer. I have no Kriegsmarine grid chart depicting the internal structure. 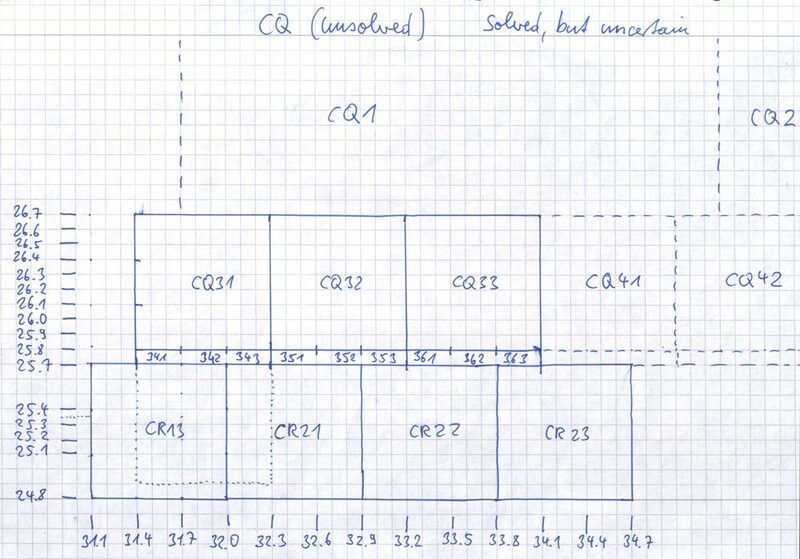 Analysis of the size and shape of CQ and the size of sub squares in adjacent squares suggests that the top row consists of two sub squares (CQ1 and CQ2). 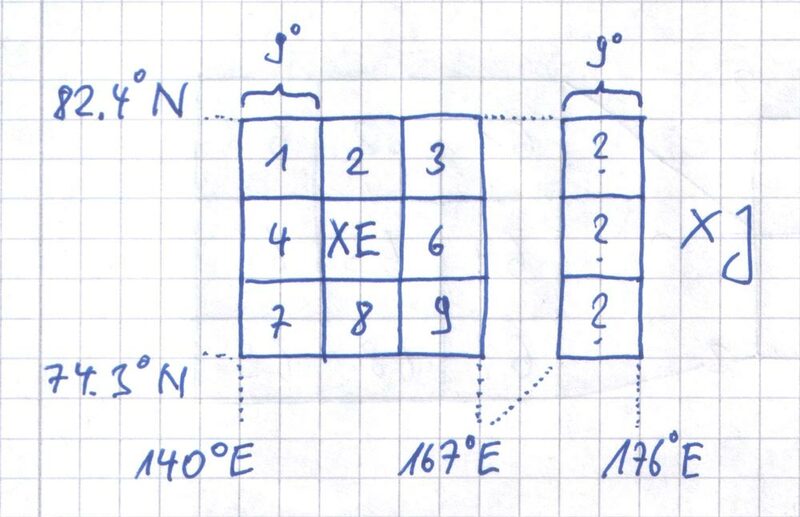 As in squares AH and AJ, sub squares CQ1 and CQ2 have a different scale than CQ3, CQ4 and CQ5 to compensate the distortion caused by the Mercator projection. The lower three sub squares in CQ (CQ4 and across) are almost entirely overlapped by CR and MD. 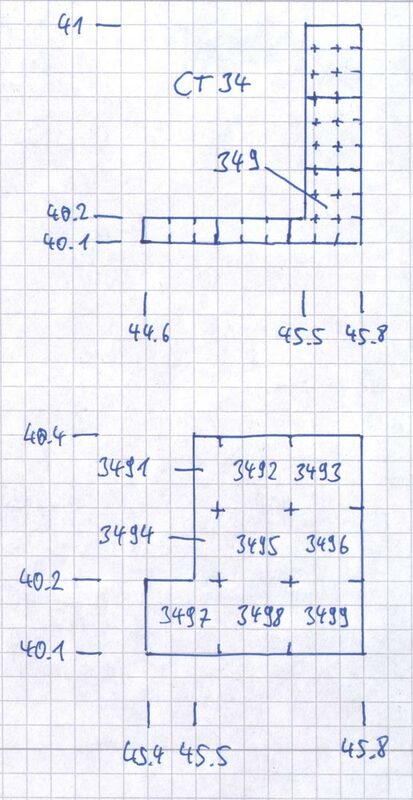 In order to fit there must be an upper row of sub squares (CQ31 and across) and one row of small sub squares (CQ3411 and across). CS is squeezed in between CL, CU and CT. Rohwer depicts CS11-18 but not the remainder of CS. Sub squares CS2 and CS3 are unknown. I have no Kriegsmarine grid chart depicting the internal structure. CS is not a part of any series so the general rules can not be applied. From the size and shape the remaining area is likely to consist of two sub squares (CS2 and CS3) that are cut off on the right by the adjacent squares CU and CT. 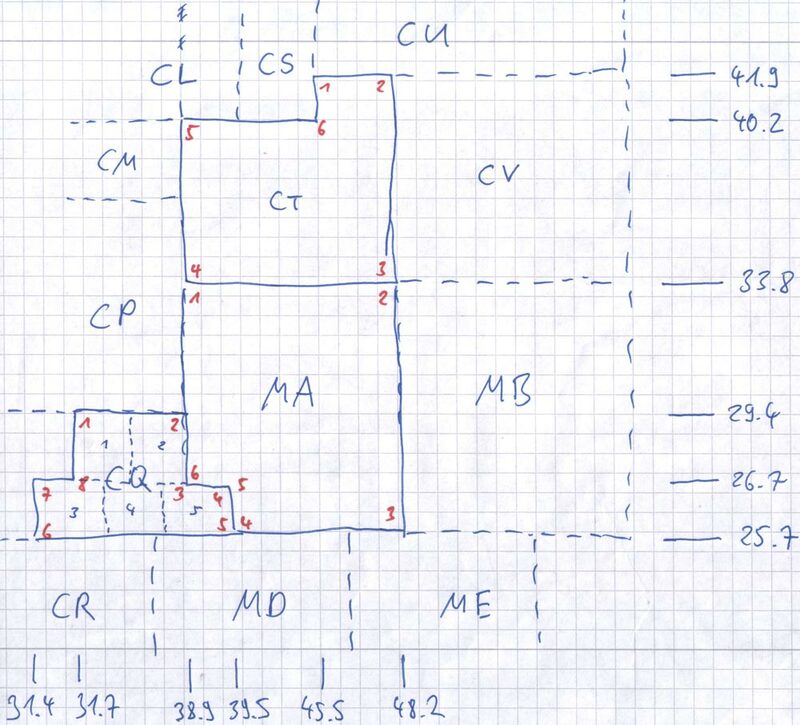 The detailed sketch for CS23 shows, that the right column (CS233, CS236 and CS239) is completely cut off, while the middle column is cut in half leaving the small sub squares CS2322 and down which are only half as wide as other small sub squares in CS. CT has two irregularities. On the left side it is overlapped by CM and CP and on the top edge it is overlapped by CL and CS. The external coordinates are known from Rohwer. I have no Kriegsmarine grid chart depicting the internal structure. Following the general rule concerning squares at the beginning of a series (CT, CU and CV), CT is cut off on the left side leaving sub squares CT1579 and below). CL and CS cut off the top of CT leaving one row of small sub squares (CT1579 and across) and the column CT3131 and down. 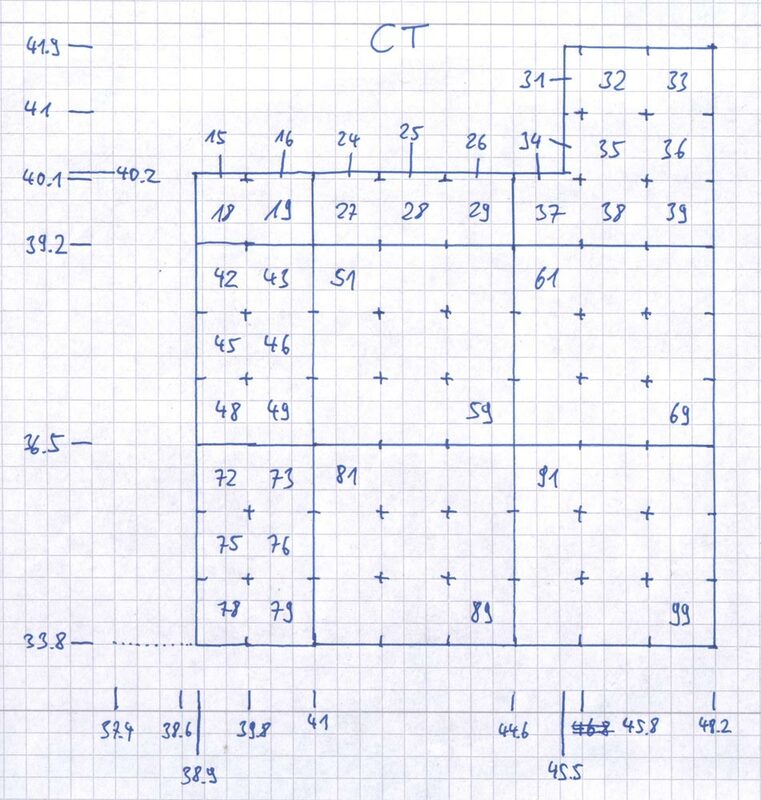 Small sub squares in this column are one quarter the size of other small sub squares in CT resulting in the nested L-shaped polygonal sub squares: CT3, CT34 and CT349. The external coordinates of JS are known from Rohwer. I have no Kriegsmarine grid chart depicting the internal structure. For the most part, JS is directly below and perfectly aligned with JK. Both have the same scale. JK is depicted in Rohwer's chart for the Indian Ocean and its primary internal structure is known. However, at the bottom there is a gap between HG and HO, which is filled by JS. As a result, sub squares JS75, JS76, JS78 and JS84 are overlapped and cut leaving one row of small sub squares (JS7598 and across). 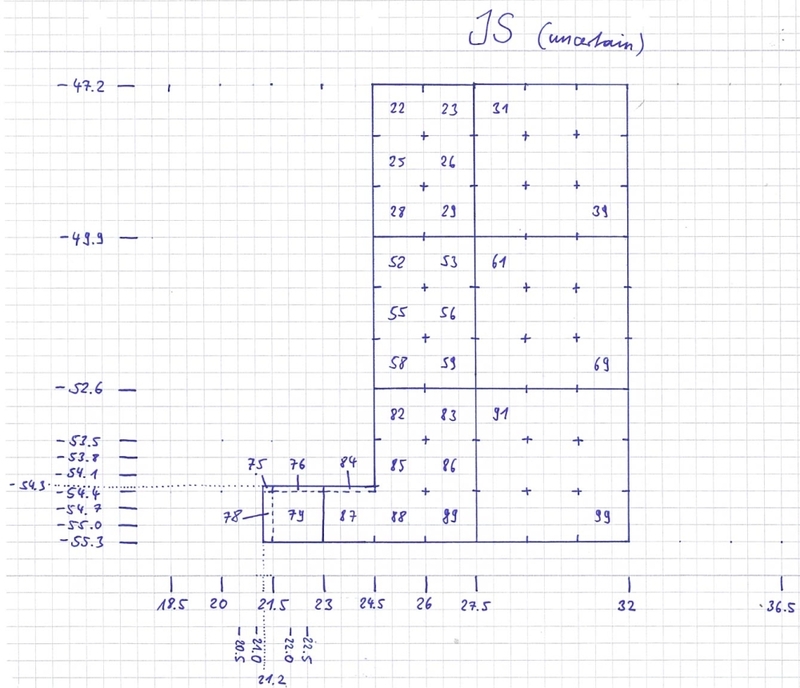 The very left column of small sub squares (JS7598 and down) are two thirds the size of other small sub squares in JS. MA is squeezed in between MB and CP, and also overlapped by CQ. The external coordinates of MA are known from Rohwer. I have no Kriegsmarine grid chart depicting the internal structure. Following the general rule that the first square in a series is cut on the left, MA is cut off on the left side along normal sub square boundaries leaving small sub squares MA1213 and below. MA is overlapped by CQ5 leaving small sub squares MA7576 and across. 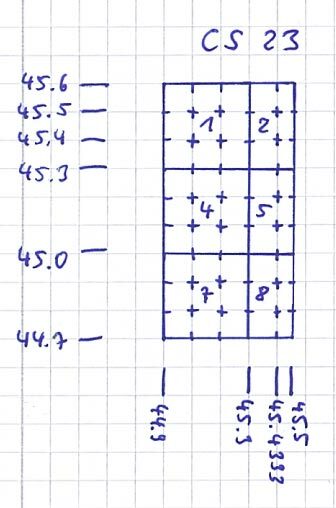 The right side of the overlap by the lower squares of CQ5 does not fall along normal sub square boundaries and results in small squares MA7597 and below being one quarter the size of other small sub squares in MA. The external coordinates of XG are known from Rohwer. I have no Kriegsmarine grid chart depicting the internal structure. Following the general rule for squares in the middle of a series XG is cut on the right side. 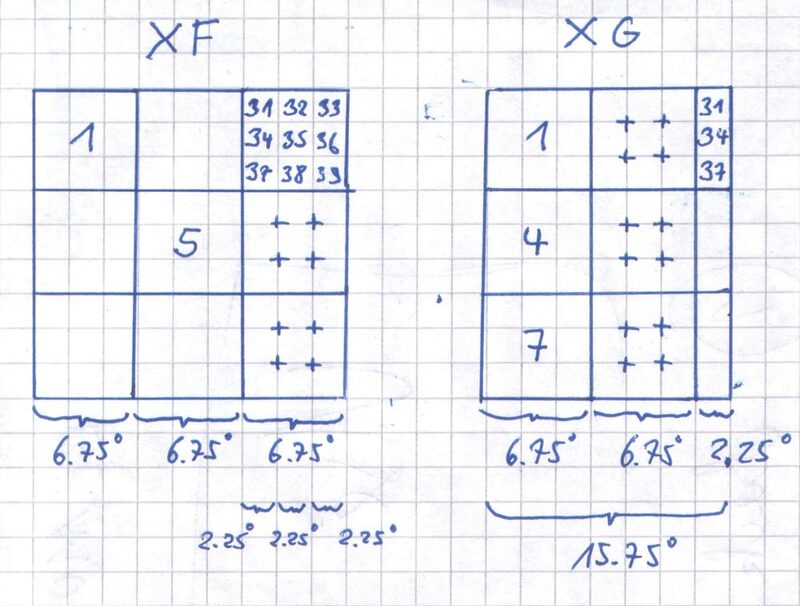 Analysis of the space between XF and XH shows that XG consists of two columns of regular sub squares (XG 1 and XG 2 and down) with two thirds of the column topped by XG3 overlapped, leaving sub squares XG31 and down. The external coordinates of XJ are known from Rohwer. I have no Kriegsmarine grid chart depicting the internal structure. Following the general rule for squares in the middle of a series XJ is cut on the right side. 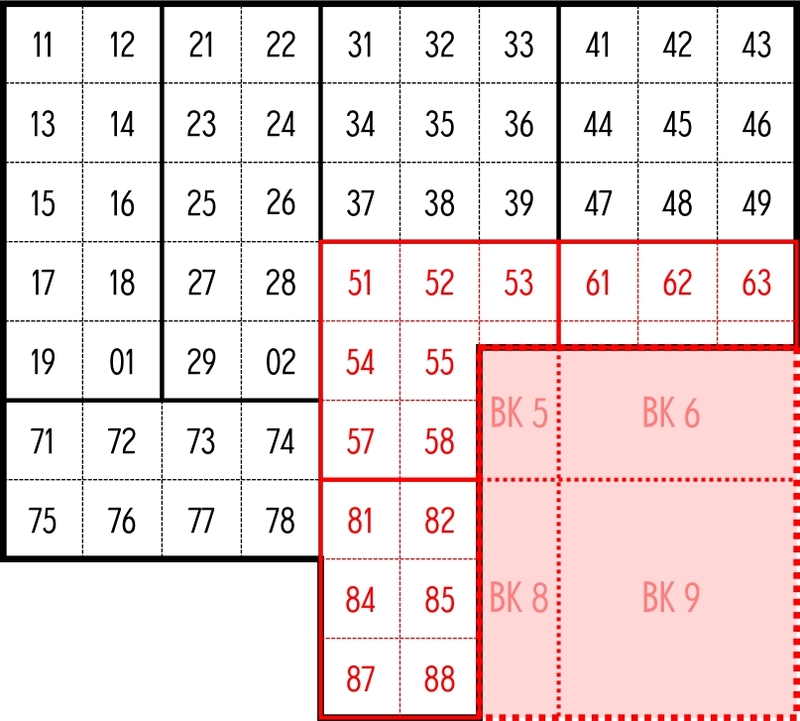 Analysis of the space between XE and XK shows that two thirds of XJ is cut off, leaving exactly one column of sub squares (XJ1, XJ4 and XJ7). The external coordinates of XR are known from Rohwer. I have no Kriegsmarine grid chart depicting the internal structure. Following the general rule that when the last square in a series is cut it is cut on the right. 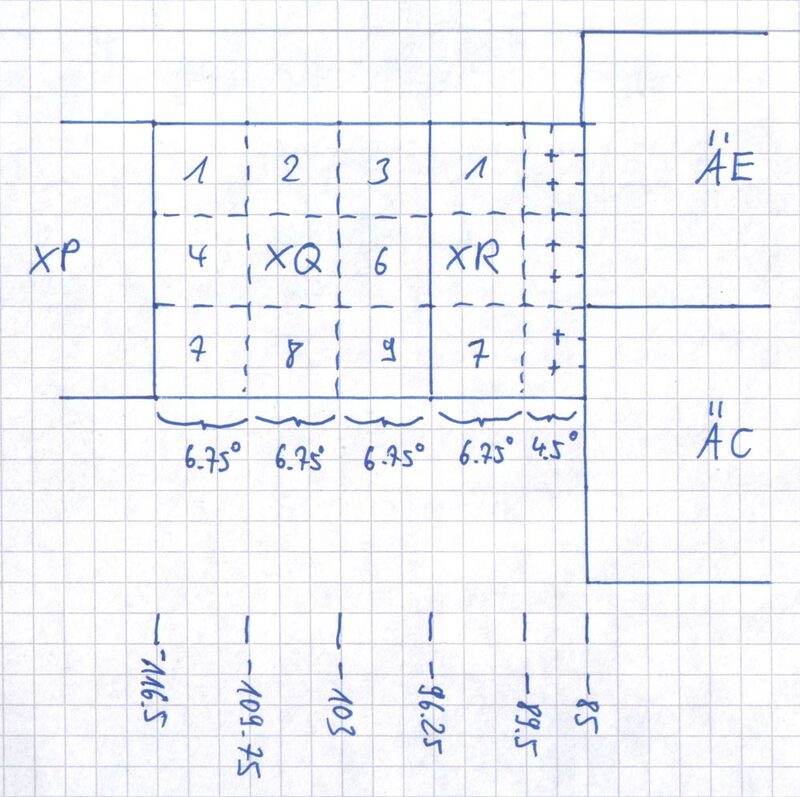 Analysis of the space between XQ and ÄE/ÄC shows, that XR consists of one full column of sub squares (XR1 and down) and one column of sub squares cut by one third leaving XR21 and down as well as XR22 and down. The external coordinates of Y series squares are known from Rohwer and Kriegsmarine charts. 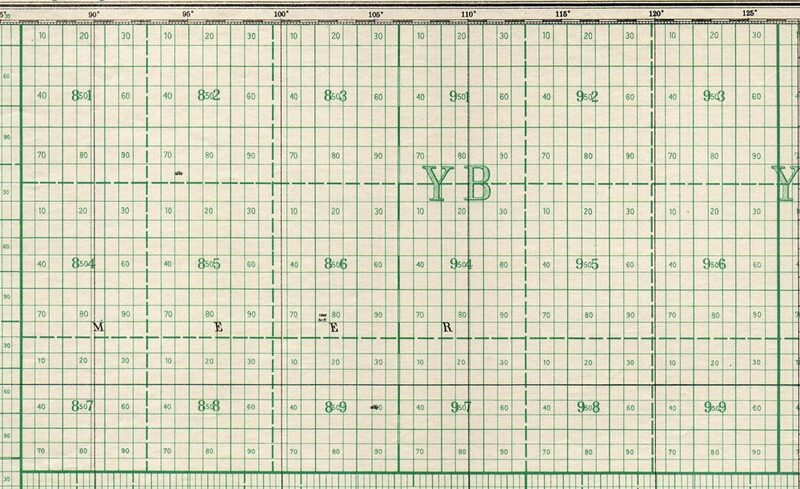 I have no Kriegsmarine grid chart depicting the internal structure of YD. 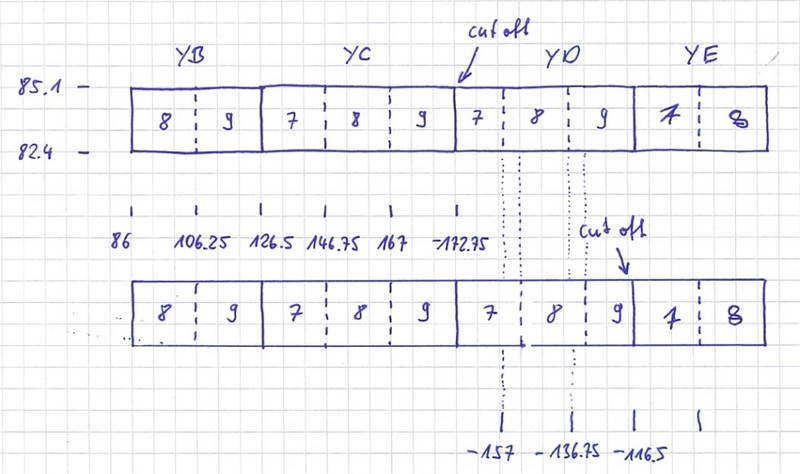 Following the general rule for squares in the middle of a series YD is cut on the right side. 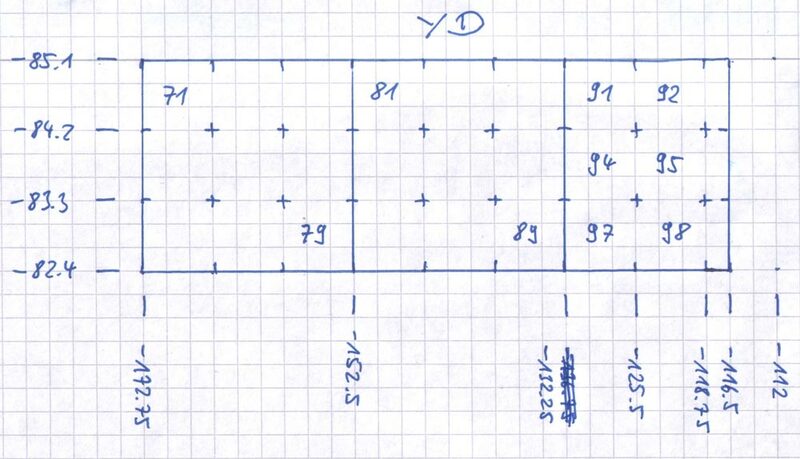 Analysis of the space between YC and YE shows that sub square YD9 is cut along normal sub square boundaries leaving sub squares YD931 and down. The external coordinates of Y series squares are known from Rohwer and Kriegsmarine charts. I have no Kriegsmarine grid chart depicting the internal structure of YE. 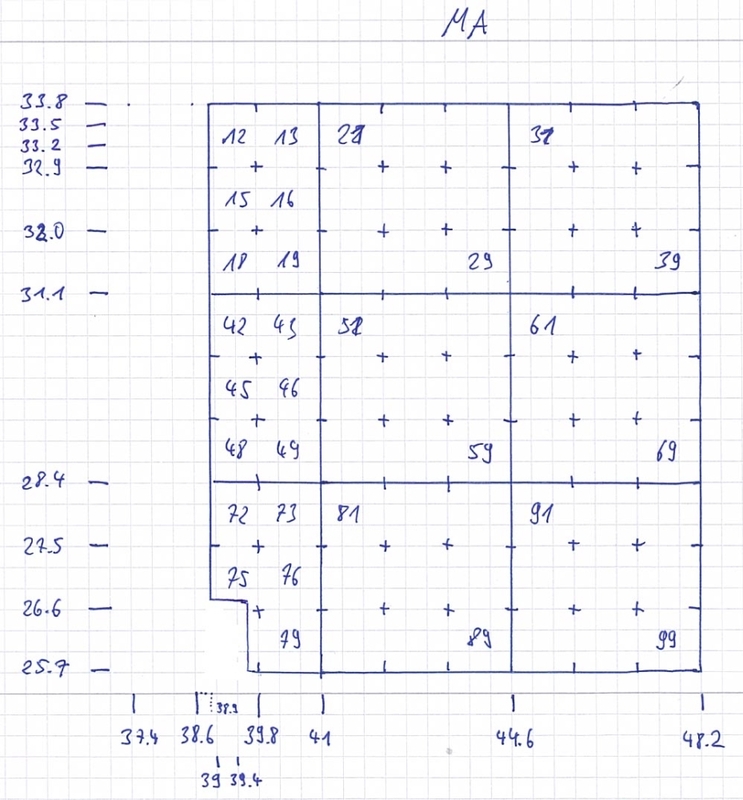 Analysis of the Y series squares shows, that YB and YE are perfectly congruent, suggesting a similar internal structure of exactly two sub squares. Following the general rule that the last square in a series is cut on the right, YE consists of sub squares Y7 and Y8. 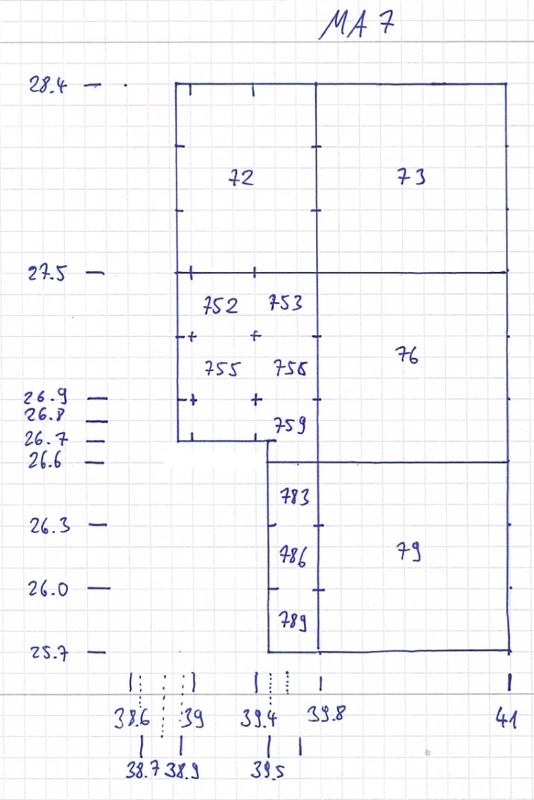 These charts have proven very helpful in reconstructing the exterior coordinates and interior structure of many irregular squares. 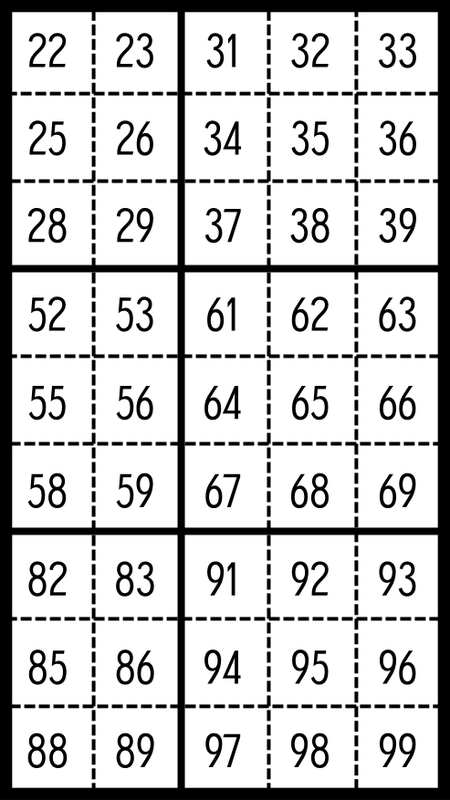 Although they are valid at the scale of two-digit-squares, they are imprecise at higher scales. The intent of this article is to discuss the limits of Rohwer's reproductions when used to recreate the internal structure of large squares and in no way to denigrate his very valuable work. 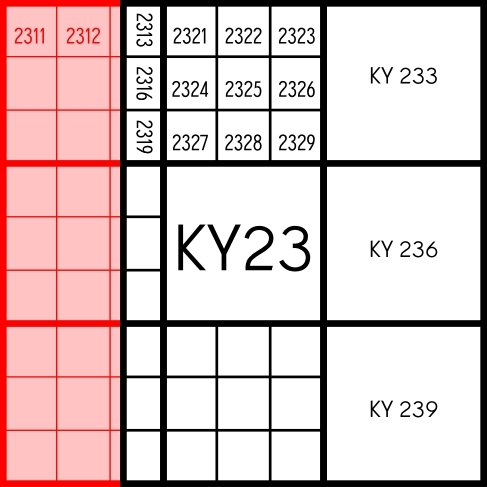 Rohwer's rendering of KY, JJ and JK in the Indian Ocean is correct for the chosen scale, but at a higher scale, it becomes evident that exactly one quarter of the left column of KY is overlapped by GR leaving the column of small sub squares KY2313 and down. The sub squares in this column are smaller than other small sub squares in KY. 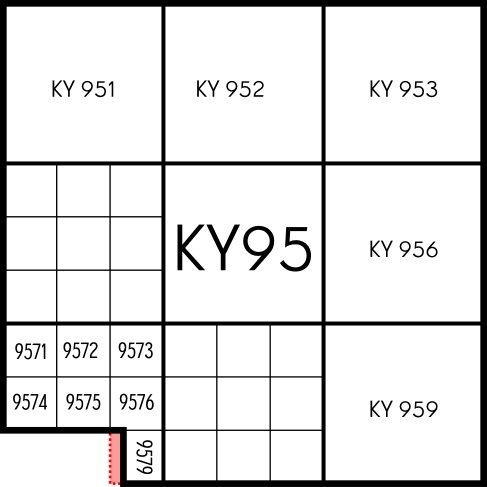 Exactly one third of the squares KY86, KY94 and KY95 (leaving square KY8674 and across) as well as one quarter of the square KY98 are overlapped by adjacent square JJ2 (leaving small sub squares KY9579 and down). 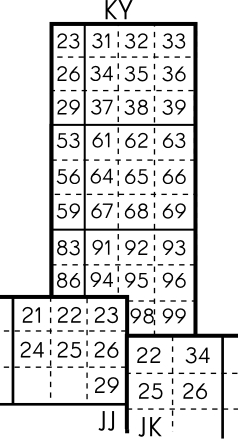 The sub squares in this column are smaller than other small sub squares in KY and, as in square CT, result in the nested L-shaped polygonal sub squares (KY9, KY95 and KY957). 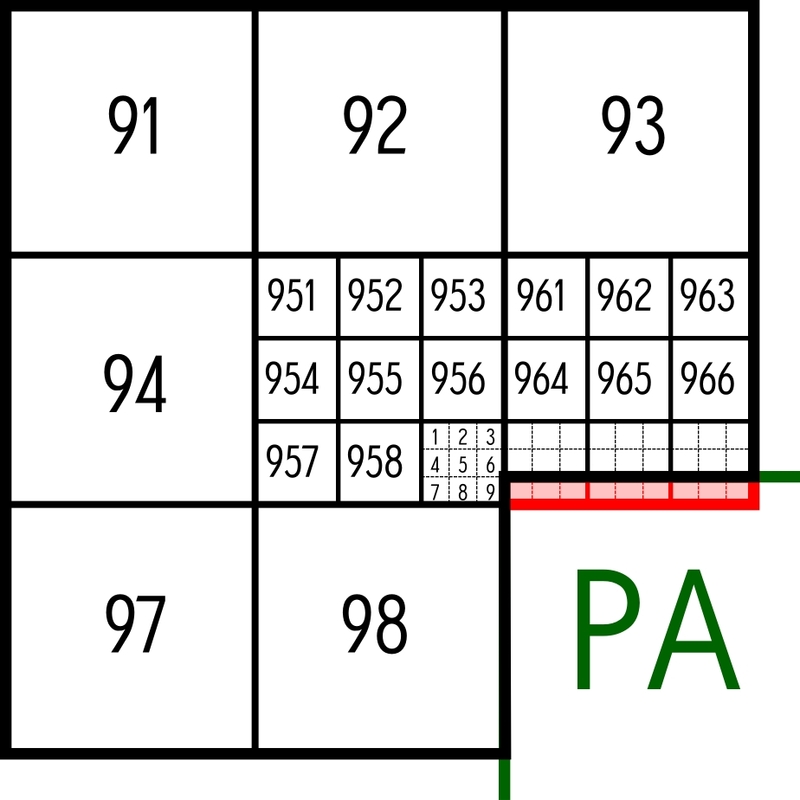 Rohwer depicts QU as a polygonal square, partly overlapped by PA with only QU99 cut off. When looking at QU9 at a higher scale, it is clear, that the bottom row of sub squares in QU96 is also overlapped by PA, leaving small sub squares QU9674 and across. 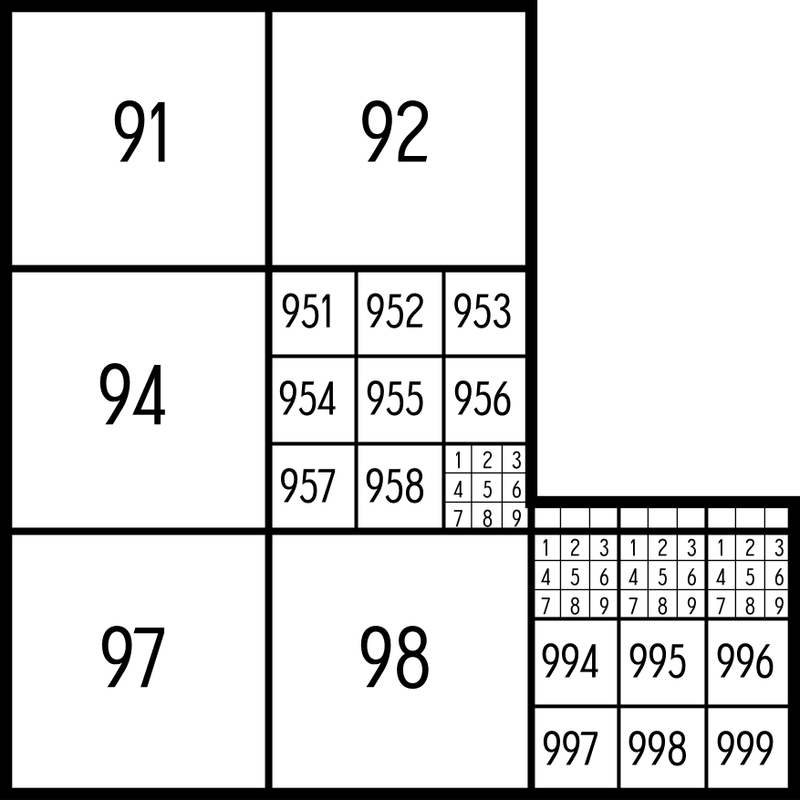 Rohwer depicts SY as a polygonal square, partly overlapped by PD with the sub squares in the very right row (QU33 and down) cut except for the bottom square SY99. At a higher scale it becomes clear that square SY96 is not completely overlapped leaving small sub squares SY677 and across. Rohwer depicts WV as a polygonal square, partly overlapped by WL. 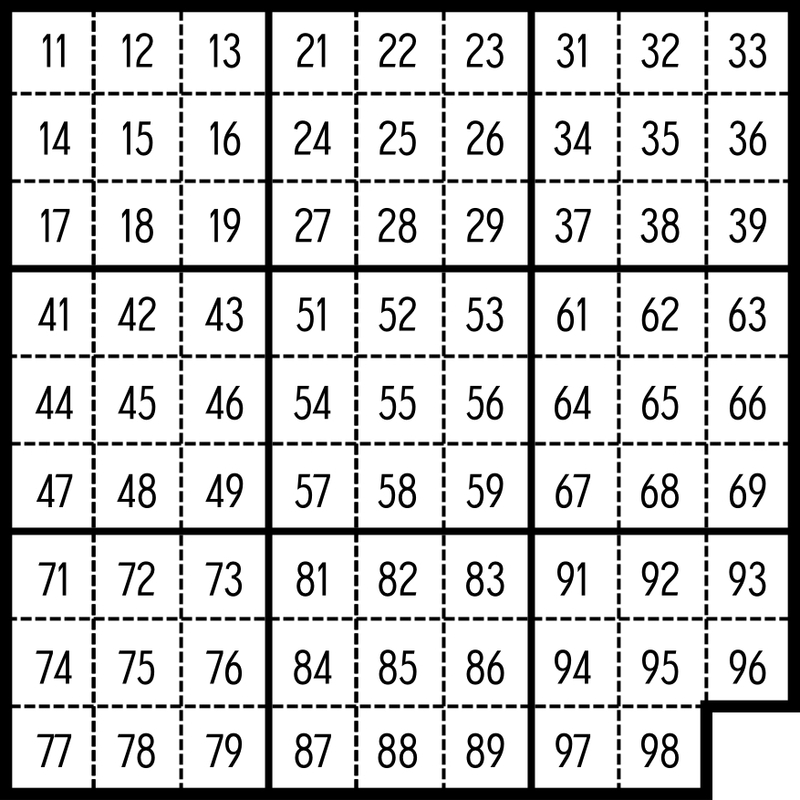 The top row of WV1 (sub squares WV11, WV12 and WV13) are cut. 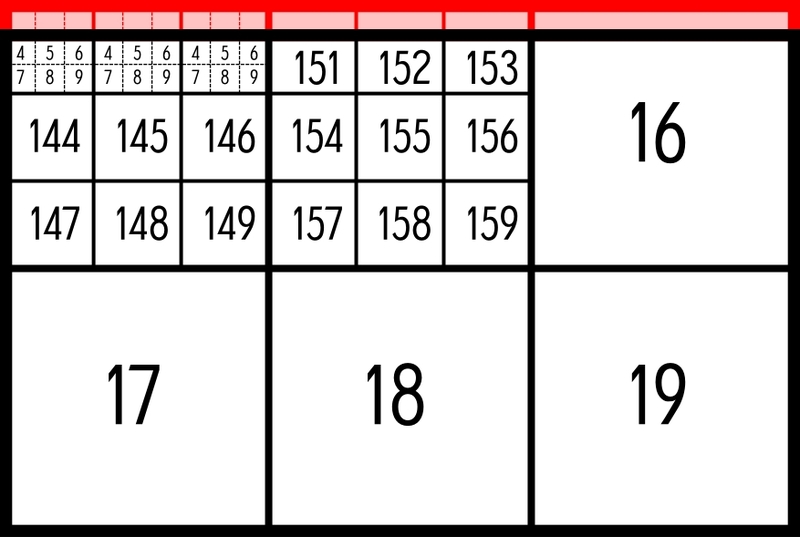 At a higher scale it is clear that the overlapped area is slightly larger, cutting one third of sub squares WV14, WV15 and WV16 leaving small sub squares WV1414 and across.